Soul Heaven returns to ADE on Friday 18 October for its third consecutive year, hot on the heels of their label re-launch via their former home, Defected Records, and a successful summer pop up residency at Ocean Beach in Ibiza. At ADE 2013 headlining for Soul Heaven is one of the original Masters At Work, Kenny 'Dope' Gonzalez, fresh from his summer European tour where he performed at Love Box, Tommorrowland, Eastern Electrics and his own residency at the Blue Marlin in Ibiza. 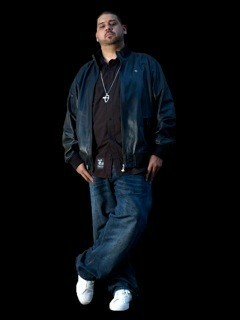 He is joined by Terry Hunter and Ultra Nate Live for a night of real house music that matters. 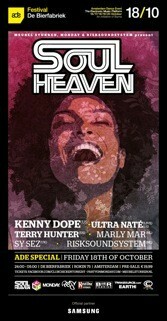 They are joined by Amsterdam's RiskSoundSystem, Soul Heaven Records A&R man, Sy Sez, and Mr Monday, Marly Mar. Soul Heaven at ADE takes place at Het Sieraad (Dutch for 'The Jewel'). 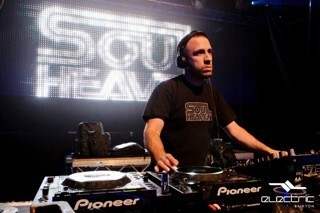 For more info, check www.soul-heaven.com, in the meantime, check a recent set from Kenny at Booom! Ibiza.